You are here: Home / WordPress Themes / The Restaurant – ultimate wordpress theme! 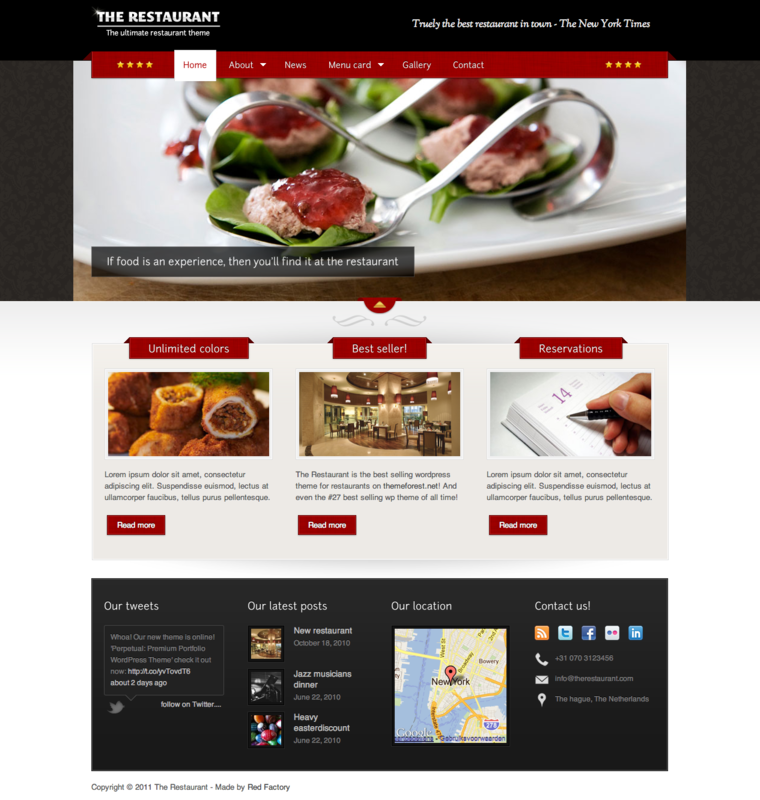 The Restaurant is a premium wordpress theme developed by redfactory. 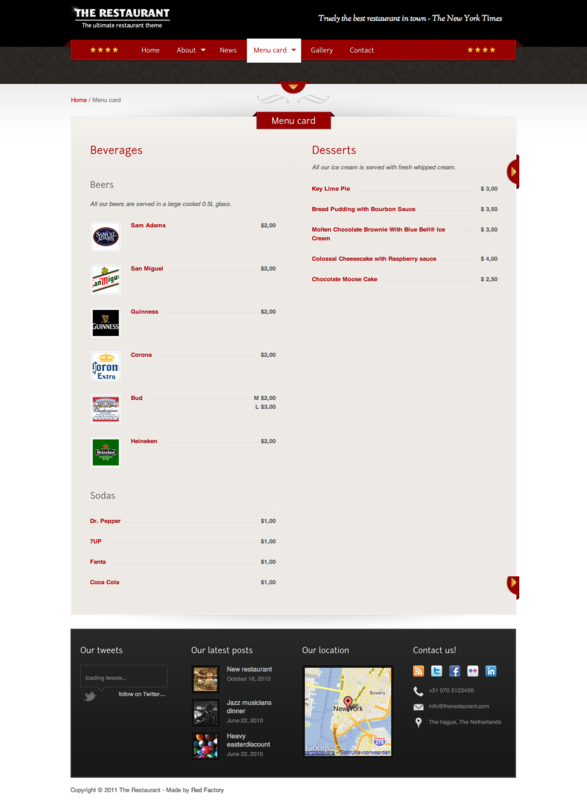 So if you want to create a wordpress based page for any type of restaurant/bistro/pizza - this one is for you. Easy customization (PSD's are included!) and good price are the biggest pros of that theme! 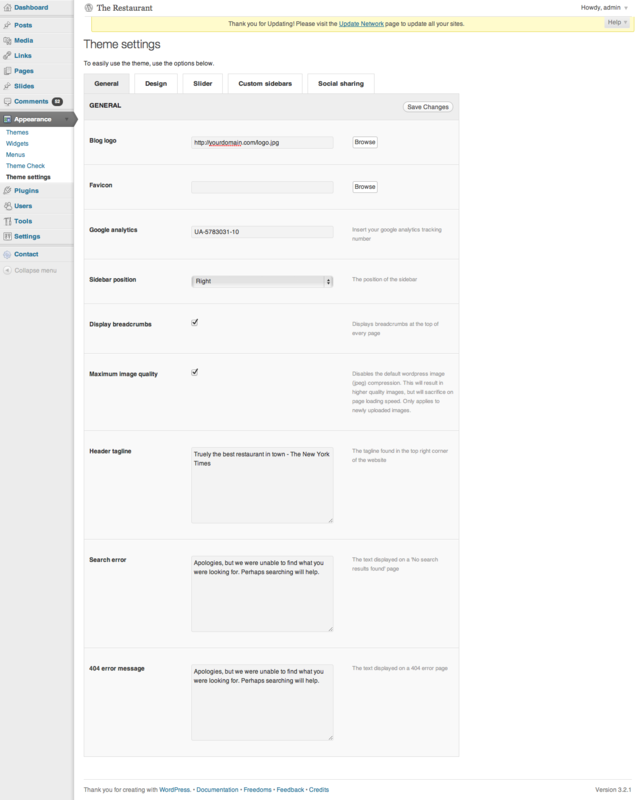 What is nice, that menu page is predesigned, just check image below. You don't have to create your own template, code it - no more! And that beautifull jquery based menu slider (check out the demo). You customers will be suprised with this clead and modern solution. With this theme is also provided a clean, easy to learn settings panel, where you can modify a lot of features - no code skills are needed! So in conclusion - it's the best available theme for restaurtants - don't think twice - GET IT!